For the friends and family of an 8-year-old Clearwater boy, today is a tragic anniversary of a different sort. Bernhardt's whereabouts have been unaccounted for since. and on the upper right side of his lip. Department tip line at (727) 562-4422. 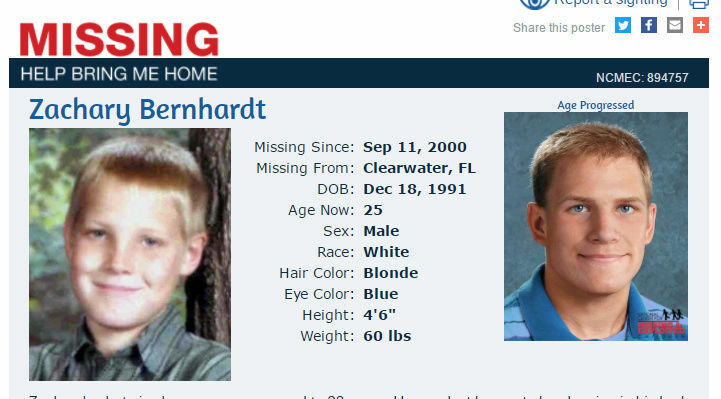 Bernhardt will be one of several missing children honored Monday at the Florida Missing Children's Day ceremony in Tallahassee. 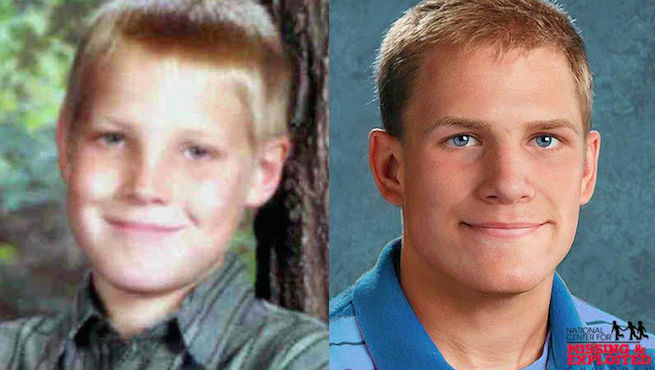 By the spring of 2001, 8-year-old Zachary Bernhardt had been missing for seven months. Scores of investigators had chased down hundreds of tips and found nothing.Then came lead No. 746.An informant told of a man who boasted of killing a boy from Clearwater. Zach was from Clearwater.An undercover officer got close to the man. As they drove around, the suspect pointed out an apartment complex. It was Savannah Trace on Drew Street. That's where Zach was last seen.Investigators sensed a breakthrough.Then, the man offered more details. But they didn't match the facts of the case, nor was there any evidence that tied him to it. Like the other 900 tips police have investigated over the past decade, lead 746 led nowhere.To this day, Zachary's case is the only active, long-term investigation into the mysterious disappearance of a young child in Pinellas County.• • •Cases where children inexplicably go missing and are never found are exceedingly rare.Of the 797,500 reports taken each year of missing kids, most turn out to be runaways or custodial abductions.But each year in the United States, about 115 children are snatched by strangers or vanish without explanation. Some are harmed by their captors; others are sought by people who seek a child to raise as their own.Of those, an average of 57 percent are found alive; 40 percent are found dead. Just 3 percent — three or four children per year, on average — are never found.It's one of the reasons why cases like Zachary's, or Sabrina Aisenberg, the 5-month-old girl who went missing from her crib in Tampa in 1997, draw so much media attention and present such challenges for police. "Cases like Zachary's and the Aisenberg child are rare," said Bob Lowery of the National Center for Missing and Exploited Children. "There are about 17,000 local law enforcement agencies in this country, most of which have never experienced a case like Zachary's. The likelihood of something like this devastating their community is very unlikely. "• • •Zach was in third grade when he disappeared in the pre-dawn hours of Sept. 11, 2000 — 10 years ago today. He and his mother, Leah Hackett (now Leah Hanson), were alone in the apartment when she went for a walk around the apartment complex about 4 a.m., she told investigators.Zach was asleep in his bed when she left, she said. When she returned about 15 minutes later, he was gone.At first, 50 investigators worked the case, interviewing "literally thousands" of people, said lead detective Steve Bohling. To this day, the case remains in the active files of the six-person Clearwater homicide unit. "We won't give up until we find the answers we need to know or we find Zach," Bohling said. He keeps a photo of Zach on his desk.• • •Seven months after Zach disappeared, investigators got tip 746. Kevin Jalbert claimed he had abducted and raped more than 1,000 children and killed five. He raised hopes when he took the undercover officer to Savannah Trace. But he dashed them when he pointed out an apartment. It was the wrong one.He described his victim's Scooby-Doo pajamas and Mickey Mouse underwear. But Zach was not wearing those clothes when he went missing.During their time together, Jalbert asked the undercover officer to help him abduct and murder a child in Clearwater. For that, he was arrested, convicted and sentenced to 40 years in state prison.During questioning, Jalbert denied abducting Zach — then failed a polygraph.Bohling said Jalbert has not been ruled out as a suspect. Without any resolution to the case, neither has anyone else, Bohling said.Fifteen months after Zach disappeared, another child went missing from Savannah Trace.Within 10 hours, a stranger found the 5-year-old boy alive near Bushnell. The child, lured into a truck by a man promising him ice cream, may have been sexually assaulted. Despite the eerie coincidence, detectives said they did not have any evidence the two cases were connected. The boy's abductor was never identified.Bohling said the best shot for resolving Zach's case would be for someone to come forward with new information. "Somebody knows something," he said.• • •Early in the investigation, police announced that they believed Hanson, Zach's mother, knew more than she was telling them. Media outlets reported Hanson was in the process of being evicted from her apartment and had a history of bouncing from home to home.The criticism stung, she said then, and forced her into hiding.Hanson now lives in Hawaii, her family says. She could not be reached for comment.Over the years, Zach's maternal aunt, B.J. Jimenez, and his maternal grandmother, Carole Bernhardt, have reached out to families of other missing children.They keep in regular contact with about 10 families whose children have never been found or who have been found murdered. They travel to Tallahassee each year to take part in the state's annual Missing Children's Day ceremony. This year's memorial will be held Monday.Today, on the 10th anniversary of Zach's disappearance, they'll gather at the Courtney Campbell Parkway with Roy Brown, whose 7-year-old daughter Amanda went missing exactly two years to the day before Zach. She has never been found but is presumed dead. A Seffner man is on death row for her murder.Last year, Jimenez and Bernhardt teamed up with Brown to create the A-Z Missing Children's Outreach Center, which is housed in Bernhardt's Zephyrhills home. The center's name refers to Amanda and Zachary. Their aim is to bring attention to missing children cases and provide support for families.• • •Carole Bernhardt wears her grandson's photo on a chain around her neck.She and Jimenez believe Zach is alive. If he is, he might be suffering from Stockholm Syndrome, a term used to describe how some abductees begin to identify with, even care for, their captors.Jimenez points to the cases of Jaycee Lee Dugard and Elizabeth Smart, who were both abducted and had the opportunity to tell authorities who they were, but didn't. "He's not going to walk up to somebody after all these years and say, 'I'm Zachary,' she said. 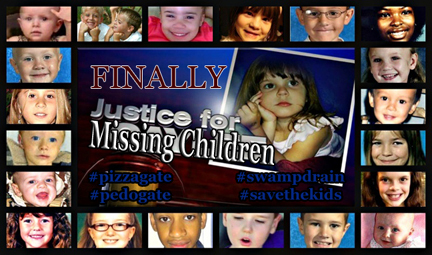 "That's why the public needs to look at these (photos of missing children) and call it in if they see them. "They want people to remember Zach and be reminded that he still isn't home. "Every family with a missing child, their worst fear is that people will forget," Jimenez said.